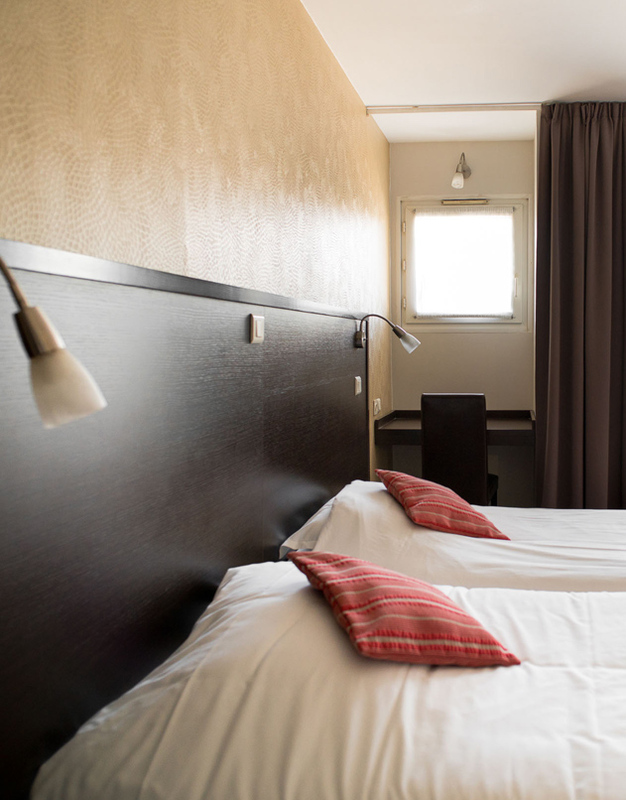 Inspired by classic American motels with their wide exterior corridors, the Top Motel in Istres offers a peaceful night’s rest far from the noise of the city. Parc de Trigance is a sleepy residential area. This, combined with the absence of corridors between rooms, ensures light sleepers will not be disturbed by other guests. 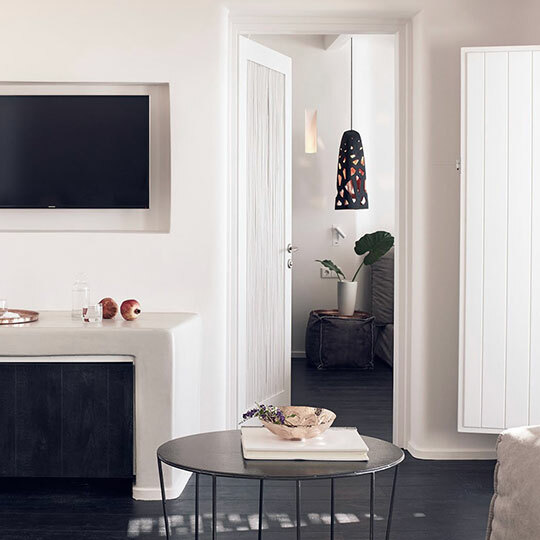 The design of this apartment hotel means you can bypass reception to get to your room and need not worry about waking your neighbours. The Ariane group offers a unique hotel experience. 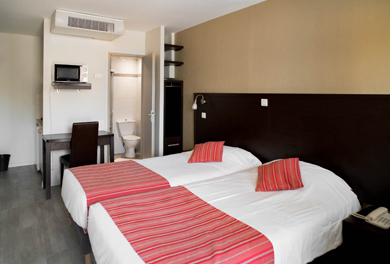 Our experienced teams will welcome you to the hotel and offer you a choice of different studio apartments. 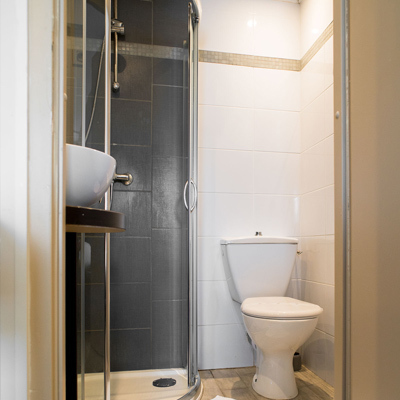 23 of our rooms are fitted with a kitchenette. This modern design of the hotel offers you greater freedom, transforming your room into a home from home for the extent of your stay. 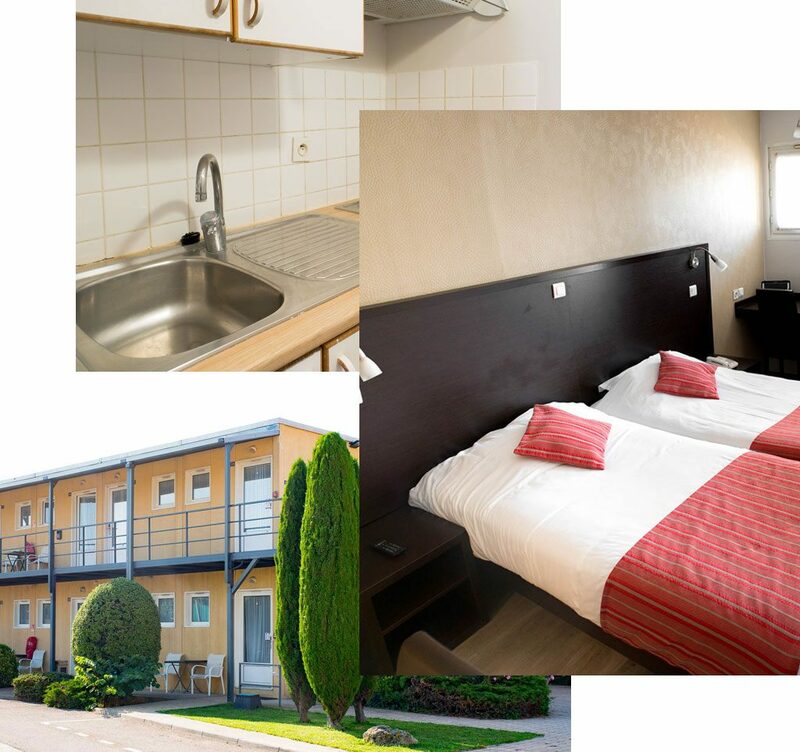 If you’re a free-spirited soul who values their independence, the two-star Top Motel in Istres is the place for you. Surrounded by nature but only half an hour’s drive from France’s second biggest city, this relaxing lodge offers you the freedom to explore Provence to your heart’s content. Your studio or apartment will immediately feel like home, as will the beautiful gardens that surround the apartment hotel. You can even visit the two Ariane hotels' joint restaurant to kick-start your day with a tasty continental breakfast before you get back on the road. We offer secure parking with 24/7 CCTV. Located on the grounds of the three-star Hotel Ariane, the two-star Top Motel is surrounded by an immaculately maintained leafy garden. From mid-May onwards, the stunning pool and barbecue area are also open to guests. The town of Istres is located in the heart of beautiful Provence. It's close to the Alpilles, a mountain range which has almost mythical status thanks to the works of Marcel Pagnols, and is also a stone's throw from the Étang de Berre and Étang de l'Olivier lakes, the gorgeous Camargue with its pink flamingos and the bustling metropolis of Marseille. Nestled between these regional gems, the two-star Top Motel in Istres boasts an enchanting setting.